On Thursday, November 24, 2016, the Batch B of the National Youth Service Corps (NYSC) will resume orientation. Already, their call-up letters have been posted on the NYSC portal for print out. It is no doubt that some intending corps members get confused on what they should take along to the camp, but Business Post is here to help you solve that problem. CALL UP LETTER: This is a vital part of camp registration and the only evidence that you are a prospective corps member and you are not impersonating anyone. This will be taken from and not returned to you. Tip: DO NOT LAMINATE IT! Registration Documents: Foreign graduates should take along important registration documents used in registering at Abuja. PASSPORT PHOTOGRAPHS: This is very important. Take as many as you can, about 20 in red backgrounds. You would need them at every registration point mostly. PHOTOCOPIES OF YOUR DOCUMENTS: Now make about 5-10 copies of every document required. There would be photocopiers in camp at mammy market but trust me, it is double the price and it saves time. CERTIFICATES/LICENSES: For Doctors, Pharmacists, Nurses & Lab Scientists, take along your proof of certification. STATIONERY: PEN, PAPER, GUM, TIPPEX. Tip: After getting your NYSC State Code Number, you can proceed to claim your NYSC Kit and Mattress after which you can proceed to get a Room. After you have gotten your kit and secured a place in the hostels. 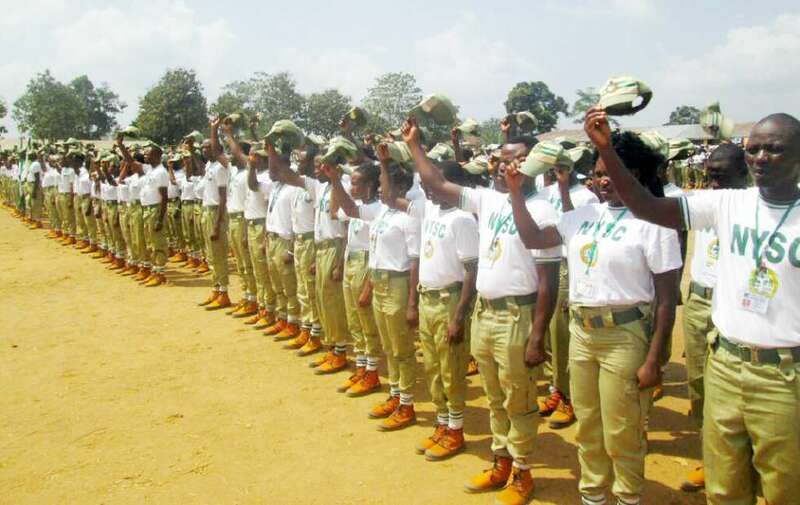 Your NYSC kit should contain 1 NYSC Crested Vest, A pair of Khaki Trousers, Cap and Jacket, 2 White T-shirts, 2 Pairs of Knickers, 2 pairs of green-stripped Stockings, A Pair of Orange Jungle Boots and One Pair of White Converse. A “Belt” is also included. ROUND-NECKED WHITE T-SHIRTS: This is an essential outfit in camp in fact in most camps this is the only allowed cloth to be worn throughout your 3 weeks. Even to church, you might not be allowed to wear colour cloths. You would be given 2 pairs of white t-shirts at camp but endevour to bring extra pairs 6, Why? Because you probably won’t have time to wash during the week after being stressed out from the parades and Man-O-War drills. Tip: Do not carry more than 2 pairs of colour clothes because you won’t need it. WHITE SHORTS: I beg you please do bring yours. you would also be given 2 pairs of shorts which are really poor in material. They tear easily and it can be annoying. So my dear Otondos bring like 4 pairs of shorts. WHITE SOCKS: Just get extra pairs. MOSQUITO TREATED NET: You would do not want to fall sick in camp from malaria. Just bring yours. BASIC DRUGS: Like Panadol or paracetamol, medicine for your allergies, menstrual pain relief drug, nausea relief drugs, antibiotics e.t.c. The camp clinic is sometimes inadequately stocked with drugs so help yourself. PADLOCKS: Please lock your boxes and bags to avoid regrets and tears. WAIST POUCH: You need it to carry your money, phone, small valuables, pens, etc around with you at all times. BEVERAGE: The camp will supply u with “Tea-water” so you can make tea when u need to! DETERGENT: [BUY from Mammy.] Again, this reduces the amount of load you’re bringing into camp. However, if you’re lucky the mammy market will have vendors offering laundry services! It costs about N50 per item, N100 for your khaki trousers or shirt, extra N50 if you want your items pressed. Bed sheets, Pillow Cases and A Pillow. You could also get pillow from mammy market to reduce load. Your Ray-Ban sunglasses for the sun. Get extra phone batter(ies) and extra Network SIMs.